You can design the calendar according to your choice with the help of css. when click the input field the calender will show, Here it shows the date and month and year selecter. There is several options is there in the jquery datepicker plugin. This will really helpfull to select the date field like date of birth and any other date fields. 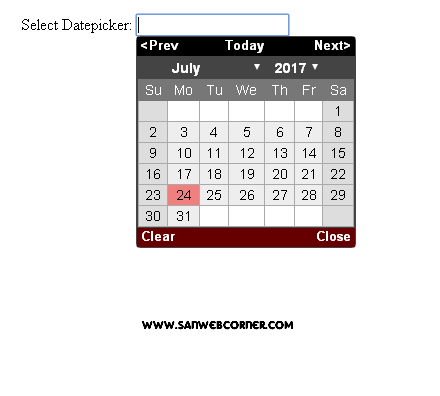 This is very user friendly to select the date in particular date formate.This example have the demo page of datepicker.